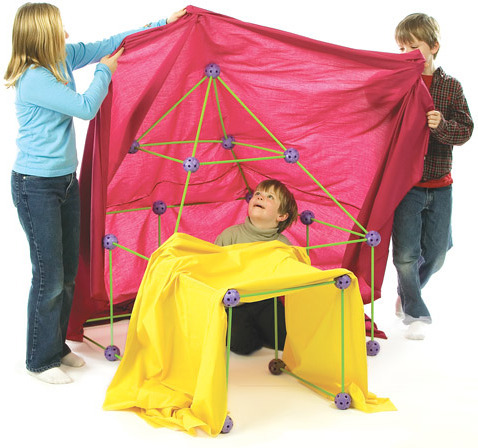 Building forts in the living room is a mainstay of childhood, and there’s nothing better than taking it to the next level with the Crazy Forts Construction Kit. With the 25 solid plastic balls and 44 reinforced sticks, children can construct the size and shape structure they want. Children five years and older will find the instructions very simple and not want parental interference. Once they have built the tunnel, fort, rocket or castle they want, they can just cover it with bed sheets and be in their own imaginary world.